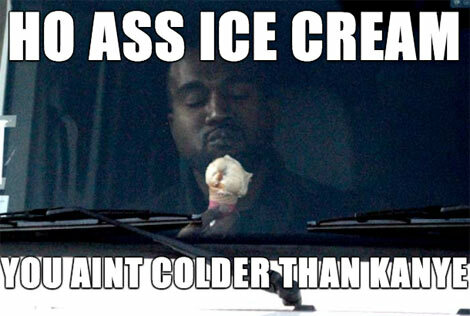 Thanks, TMZ, for posting this picture of Kanye blissfully eating ice cream. Kanye hit up Baskin Robbins in West Hollywood on Thursday and ordered an ice cream cone. “As shocking as it sounds—a look of pure joy spread across Kanye’s face just seconds after licking the cone … something that hasn’t been seen in ages,” writes TMZ. Paparazzi better start carrying around a cooler.